Also, I'm totally crushing on these beautiful larger-than-life Africa+Cowrie Shell earrings I got from Soul & Substance. The owner of S&S, Quianna Taylor, (who's motto is: 'Soul is who you are, substance is what you bring to the table') and I have been Instagram friends for quite a while now. So, the moment I started this blog, I KNEW that I had to have a few of her wearable art pieces for my jewelry collection! 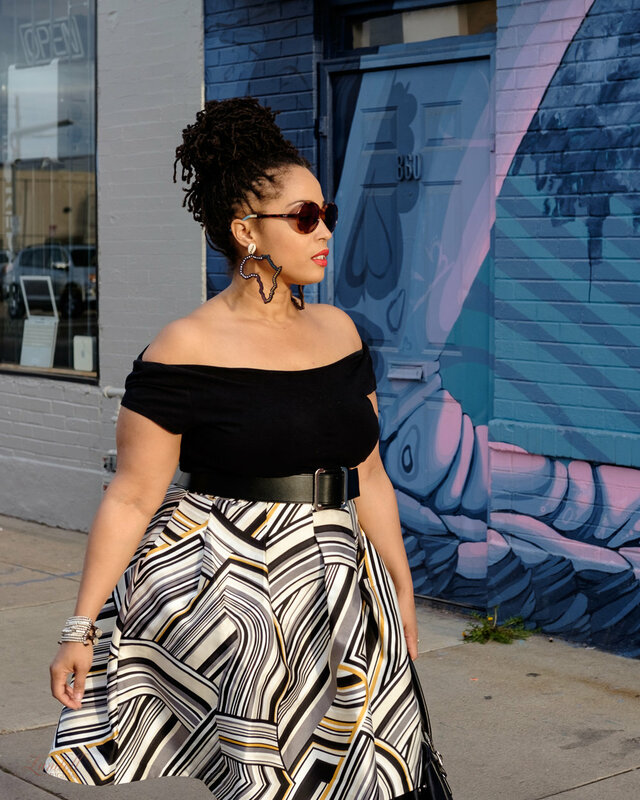 If you've been looking for an edgy look for Spring, why not throw on a bold patterned skirt, and grab some wearable art to spice up your jewelry collection. Give these pieces a try, I promise you'll love them as much as I do!